The way to build, monitor and secure open source languages. 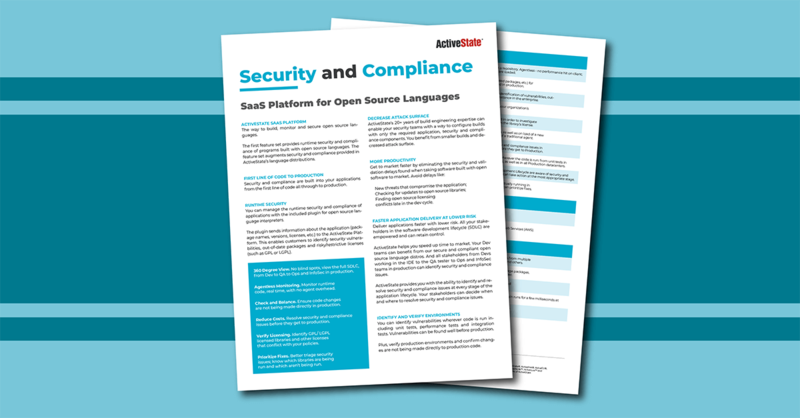 The first feature set provides runtime security and compliance of programs built with open source languages. The feature set augments ActiveState’s language distributions.